ThemeParkMama: Just In-Case you Don't know the Words...........Frozen Sing Along Edition is Coming to DVD! 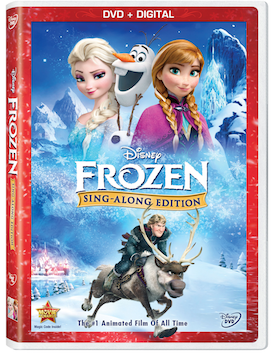 Just In-Case you Don't know the Words...........Frozen Sing Along Edition is Coming to DVD! If you haven't seen Frozen what are you waiting for! It is truly one of the best movies family friendly movies from Disney in a long time. The movie will surely have you in joyful tears. Don't be left out when friends and family break into song, learn the songs with the new release of Frozen Sing Along Edition arriving November 18th, 2014!